Discover how you can learn to Harness your Bio-Energy to extremely High Levels in Energy Healing Abilities & Chi Techniques. 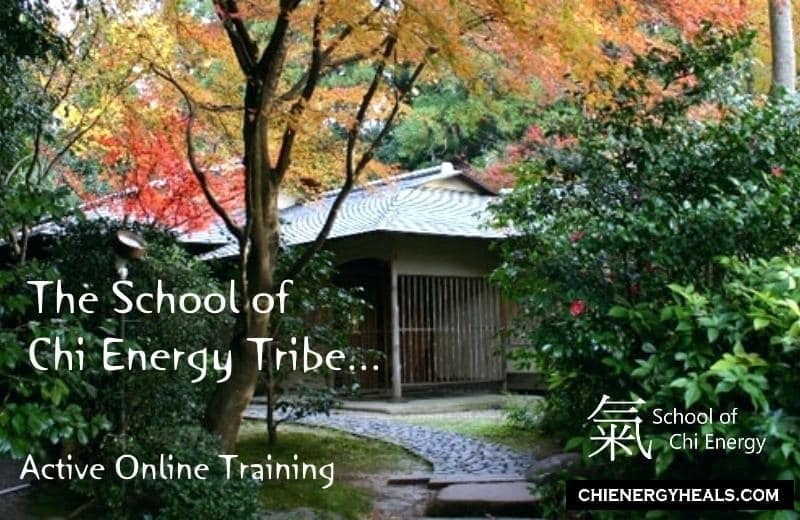 The Chi Energy Method’s Better Difference is in the way our School of Chi Energy teaches a “Formed Chi” Method. Chi Students learn a specialized energy practice building up their entire Nerve Fiber System. They are taught how to perform good feeling and relaxing Circular “Chi Form” flow pattern guided in and around the body that directly increases the electrical magnetic charge of their Bio-Energy. Your nervous system is full of nerve fibers that take electrical communicative messages to different parts of your body or even outside the body area. It’s your body’s electrical system or these nerve fibers that allow your body to project bio-energy or bio-photons from it. Our school teaches the student how to make much stronger connections with this part of their body thus increasing your energy and performance. We actively teach the student to harness these bio-photons by forming them into molded circular energy patterns of healing light. Bio-photons are a form of light that can be paused in space, cooled to lower temps and used to form particular shapes. Each “Bio-photon has an ability to hold up to 4 mbs of information”; our system teaches students how to use their mind thoughts in order to use these bio-photons to help themselves or to help others with it. Another way our school is different from other energy methods is in how our students learn to use their own body’s hormones. The students learn to use the right kind of hormones to make themselves or others feel better on demand. By learning to make these chi forms or bio-photon forms, they are able to actually physically feel the changes they make take place in their body. Students learn to make their chi forms strong enough to manipulate their body’s glands that cause particular hormones to be released into their bloodstream. By going through the right gland areas with the chi form, (we do not use the glands in your head) we show the student how to make their body feel euphoric or how to do that to others. It’s by learning chi techniques like these that allow students to maintain an emotional stability that students in other energy systems seldom reach. There are other energy systems that will teach the person to push Qi Energy into different head glands in order to obtain more power; but this usually ends with that person going through an emotional roller coaster ride, where for a while they feel euphoric, but soon they feel low on energy again. Often times pushing energy into the head area leads to chronic headaches. In our school, we’ll explain to the student why things like that will happen to them. There is so much new information coming out of the medical fields concerning the body and how the different automatic systems work, it is essential that people studying energy work become aware of these new facts. Learn how our school makes a better difference for people who want to cultivate high levels of Chi Energy for Advanced abilities and Healing Techniques. Please listen to the 10 minute mp3 on our Chi Energy Heals the Better Difference. Most energy systems don’t include any of this new information in their systems. Our school does go over all this new information with their students. For example, most energy systems don’t talk about how a person really deals with another person on a pheromone level. If a person has cool pheromones, they project attracting type energy and if a person is running too hot inside (because they are trying to harness the hot side to energy), they put off repelling energy that will actually repel those around them. This often results in that person, who is burning their body’s pheromones, getting into confrontations or arguments with others. Since something like this takes place on a subconscious level, the person burning their pheromones, usually doesn’t know why these bad kinds of things would happen to them. Yet, most energy systems practice no temperature control and try to harness this heat coming from the body. This heat buildup tends to overload a person’s nervous system leading to that practitioner later on having problems. Another way we are different is in the way we use training devices to help students reach a higher level. These unique type training devices are used by students to help them understand different chi concepts better. Since we use a circular method, we use a yin Chi Energy stick device, which helps students create circles better. We use laser temperature guns, so students know exactly how cool they are, when they are building up large amounts of energy in their body. This way they stay cool enough not to burn their own body’s pheromones. Most energy systems say nothing about how a body’s pheromones can help or hurt them, when getting along with others. Nor do other energy systems bring up about the body’s immune system and how it is affected by a person regularly practicing energy work. We show students how to build up their body’s immune system stronger by showing them how their body’s natural killer cells work. By teaching our chi students how to transfer the right attributes into bio-energy, they experience better health. Your body’s natural killer cells are strange cells that only come out into your body’s bloodstream when you are in a good mood. When you are sad or upset, your natural killer cells suddenly disappear and they can no longer help your body. These specific cells are our body’s only defense against a virus. Anti-bacteria shots do nothing to rid your body of a virus, only these mysterious natural killer cells can do that. Our school shows students what it takes to keep these NK cells working strong in their own bodies. Our school catalog, which goes over all the different topics we teach, may be read on-line or be downloaded for your convenience. We provide a contact box for any questions that you would like to have answered about energy. If you have become complacent in your energy system and you are no longer making the gains that you once made, maybe it’s time to consider a school like ours, to take you thru the rest of the journey.